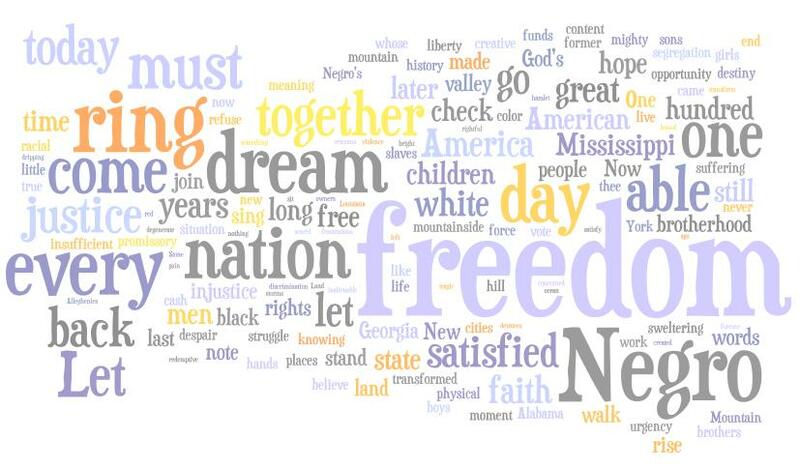 Last year I posted a wordle of Martin Luther King Jr.’s “I Have a Dream” speech. Worth a repost on the anniversary of his birthday! This entry was posted in issues and tagged Dr. Martin Luther King Jr., holiday, wordle. Bookmark the permalink.